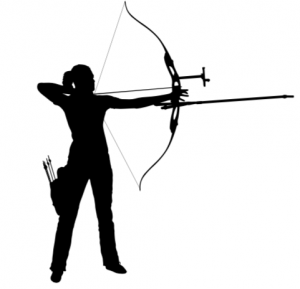 What Is The Definition Of Overdraw In Archery? 1. This describes the use of a device or a specialty arrow rest that sits farther back behind the grip on the bow. This allows for shooting an arrow that is shorter than the draw of the bow. It is usually used in order to achieve long distances with a lighter-weight arrow. One type of overdraw device is a siper. 1. In order to get the most power behind the shorter arrow, the archer is going to use a siper to make up for the overdraw.